Joe Fazio’s sales-driven approach, entrepreneurial drive and community spirit has led 12-year-old Commerce State Bank to more than half a billion dollars in assets. Joseph Fazio III will be the first to tell you that he doesn’t have the “typical” bank CEO background. He did not start his career as a teller or a loan analyst. But ICBA’s 2017 National Community Banker of the Year has managed to take the road less traveled in building a community bank worth noticing. 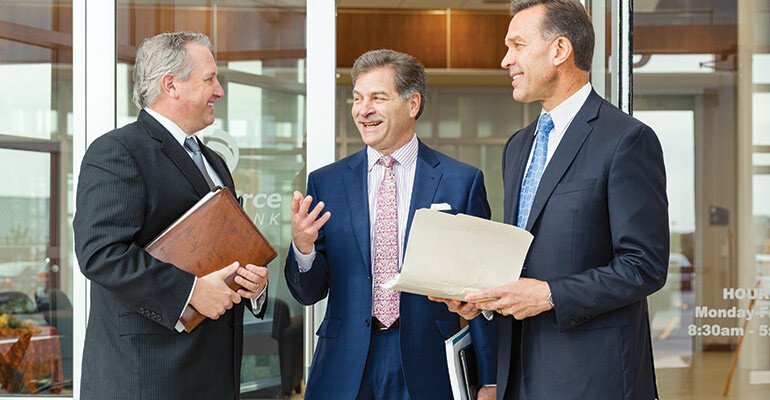 Joe Fazio (center) at Commerce State Bank’s West Bend branch office with the men who cofounded the bank with him: Dave Borchardt (l), chief financial officer and chief operations officer, and Tom Hopp (r), president. Below: Fazio was a member of the Wisconsin Bankers Association board of directors from 2013 to 2018. In addition, Fazio says his bank has been “very opportunistic” in playing to the small to midsized businesses in the communities it serves—offering a rapid response to loan requests, in particular. “We’ll give you a fast answer,” says Fazio. “We know that a fast ‘no’ is better than a slow ‘maybe.’” Taking it a step further, Commerce State Bank acts as advisor as well as banker to its business customers, helping them decide whether to hire another salesperson or referring them to marketing or legal experts. It also runs networking seminars for its customers and prospects. Fazio also tries to reach out to the next generation, underscoring the potential this career has to make a difference. “The reason young people are not interested in being community bankers is a lack of knowledge and familiarity with it,” Fazio says. “It’s not Wall Street or the technology industry. It doesn’t sound cool. Ledyard National Bank CEO Kathy Underwood takes the community banking mantra “making a difference” to heart. In mid-September, Kathy Underwood, president and CEO of $500 million-asset Ledyard National Bank, spent three hours of a Friday working side by side with nine coworkers, packaging macaroni and cheese for the local food bank. Underwood describes the project as “such fun” and enjoys being a go-to person for local nonprofits that need extra help. Underwood advises all young people entering banking to serve on a local nonprofit board just as she did in her 20s. A few years ago, she gathered her senior leadership team together and explained that money donations to nonprofits had dried up and that these groups needed the support of Ledyard National Bank and its employees. She identified her own passion more than 30 years ago when she began working with the American Heart Association on its advocacy and awareness campaigns. Shortly after she began volunteering, her husband was diagnosed with heart disease. “I’ve never left the Heart Association, because I saw firsthand how money raised for research made an impact on my family,” she says. Six years ago, she launched a Go Red for Women campaign in New Hampshire to spread awareness that heart disease is the number-one killer of both men and women, yet 80 percent of heart disease can be eliminated by lifestyle changes. She is currently working on the fifth Go Red for Women event in her area. From the heart—Left: Kathy Underwood lobbies on Capitol Hill on behalf of the American Heart Association. Above: Underwood, second from right, stands with members of Ledyard National Bank’s Wellness Committee after receiving the American Heart Association’s 2015 Gold Achievement as a Fit-Friendly Worksite. Elizabeth Judd is a freelance writer in Maryland. Glenwood State Bank president Peter Nelson lives and breathes the golden rule to the benefit of employees, customers and the bottom line. Most community bankers define the difference between their institutions and larger competitors in terms of customer service—usually the service that frontline employees provide to customers. Nelson’s sharp focus on his people is likely the very reason that the $272 million-asset bank has more than tripled its assets since he assumed leadership almost 12 years ago, nine years and a few months after he joined Glenwood State Bank. This year, employee retention has exceeded an eye-popping 98 percent. A certified public accountant by training, Nelson deduced that his combined “interest in numbers and interest in people [made] community banking a good fit.” He also chose to join the bank to move his family from a large city to a smaller community. His approach to success is simple: He finds the best people he can—those who fit with the bank’s values—and the bank invests in them. Nelson has often moved good employees three or four times to different jobs in the bank to help them find the right fit and keep them on board. “For better performers,” the community bank has even subsidized educational opportunities, he adds. Next generation—Glenwood State Bank CEO Peter Nelson’s penchant for investing in people extends to youth as well as his employees. 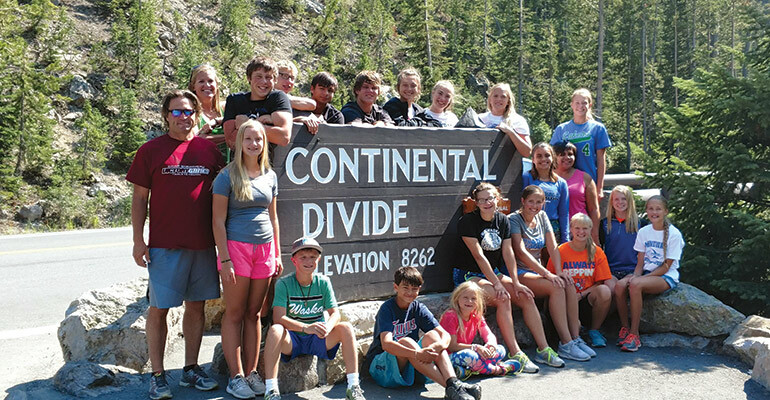 Right: Nelson’s Fellowship of Christian Athletes exploring Montana. Below: Nelson stands with children during his most recent mission trip to the Dominican Republic. Take, for example, employee Karla Johnson. Johnson was hired in 2006 for a part-time position, but she quickly realized the job would not suit her career aspirations. After expressing these concerns to Nelson, he spent the next year trying her in four different roles at the bank to help her find her dream career path. “He treated me like I mattered and with respect,” Johnson says. “He wasn’t about filling a position at the bank; he was about helping me feel fulfilled.” Johnson is now using her skills as the bank’s vice president of compliance. Since then, Glenwood State Bank has been busy creating more consistent and comprehensive competencies for the various positions at the bank. It has also taken more than a dozen of its employees for off-site training on topics like managing conflict, improving listening skills and having critical conversations. The inclusive, employee-focused culture led by Nelson has helped $50 million-asset Lowry State Bank, a smaller Minnesota community bank that the ownership of Glenwood State Bank acquired about 15 years ago. Instead of simply absorbing Lowry State Bank, Nelson and his team and board decided to keep it as a “sister bank,” allowing it to keep its own identity in the communities it serves while benefiting from being part of a larger operation. “From the beginning, we really, really treated it as one organization,” Nelson says. 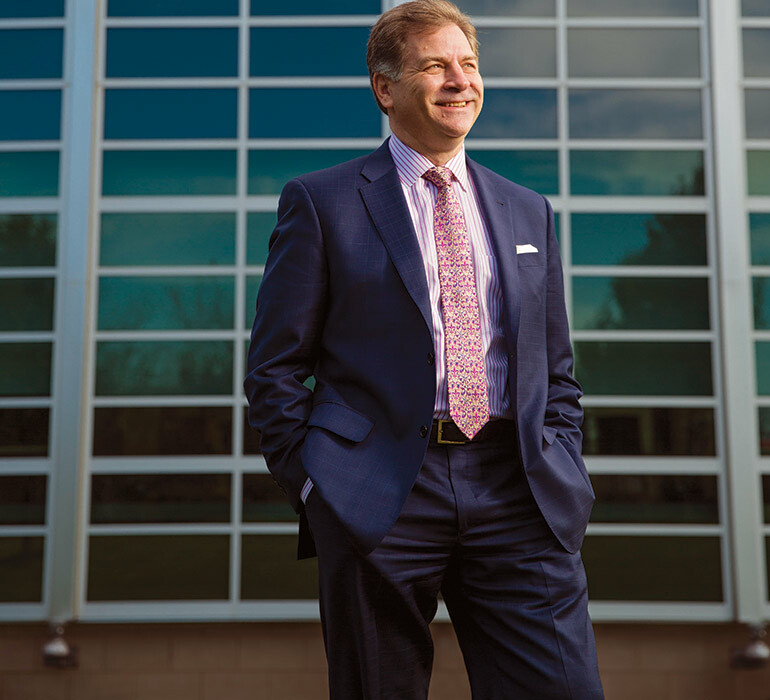 Christopher Palmer, Pioneer Bank’s president and COO, motivates customers and inspires employees through his personal connections and a contagious enthusiasm for community banking. Among the defining characteristics of Pioneer Bank’s ethos is the Wednesday Group, a professional and personal development group that crystallizes around a discussion of inspirational books. Christopher Palmer, president and COO of the Roswell, N.M., community bank, says group members have read everything from It’s Your Ship by Captain D. Michael Abrashoff and The Advantage by Patrick Lencioni to Chinua Achebe’s novel Things Fall Apart. Pioneer’s weekly book group is just one of the ways Palmer, a self-described “introverted leader,” forges connections with his employees. Another is his commitment to personal performance interviews. At least once a year, he sits down with each employee for a one-on-one meeting covering everything from that individual’s performance expectations for themselves to what they would do if they were president of the bank. Industry advocate—Pioneer Bank president and COO Christopher Palmer lives his mission to preserve the community bank industry by supporting his employees and volunteering for local events and organizations. Above: Palmer delivers a presentation during Chaves County’s Character Counts! week, which honors outstanding citizens. Below: Palmer meets with employees during the bank’s weekly business meeting. Palmer also takes a unique approach to talent retention. He encourages all employees of the bank, which has $817 million in assets and 14 branches, to update their resumes. “Ever since I’ve had a leadership role, I’ve told people, ‘I want you to be successful here or somewhere else,’” Palmer says. He is not concerned if Pioneer is a stepping stone to other career goals, so long as the bank gets each employee’s best right now. In return, Palmer praises his entire team wholeheartedly for their commitment to the bank and the local community. As a board member at the United Way of Chaves County, he is proud of the fact that 80 percent of his team contributes to the United Way. In appreciation, he lets anyone who makes a donation wear jeans on Fridays. Palmer has also backed changes that will help Pioneer remain an independent community bank, something it has been since its founding in 1901, 11 years before New Mexico became a state. In 2014, for instance, he helped initiate an employee stock ownership plan (ESOP) to discourage acquirers and foster a greater sense of shared mission. He recently began identifying himself on his annual tax return as a “community banker”—rather than simply a “banker”—an idea he credits to a speaker at an ICBA event two years ago. Palmer’s passion for local banking has helped Pioneer boost its customer base. What started eight years ago as a direct-mail marketing campaign to show the value of banking locally has resulted in a fivefold increase in checking accounts. “When we talk to people who bank with us, they say it’s because we’re local, we know our customers by name, and we go out of our way to do things well,” he explains.